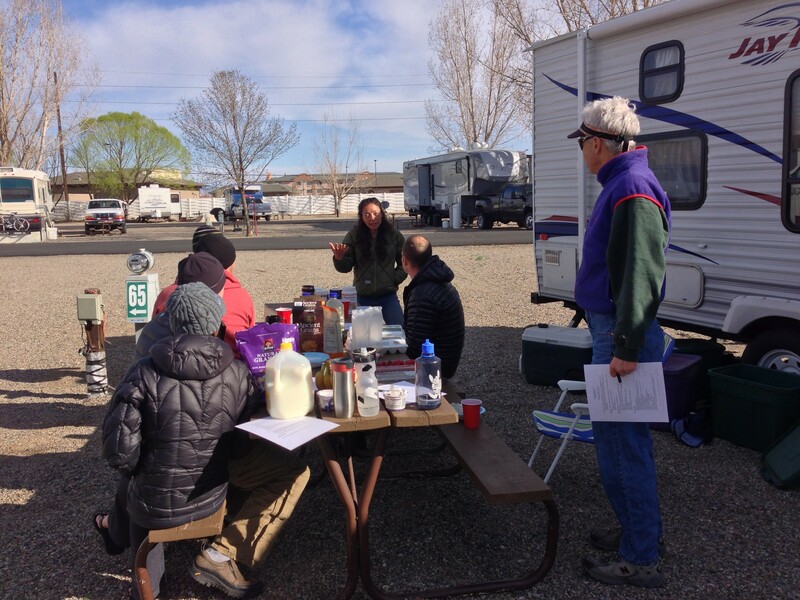 The first MTB Coach spring training camp was a success. 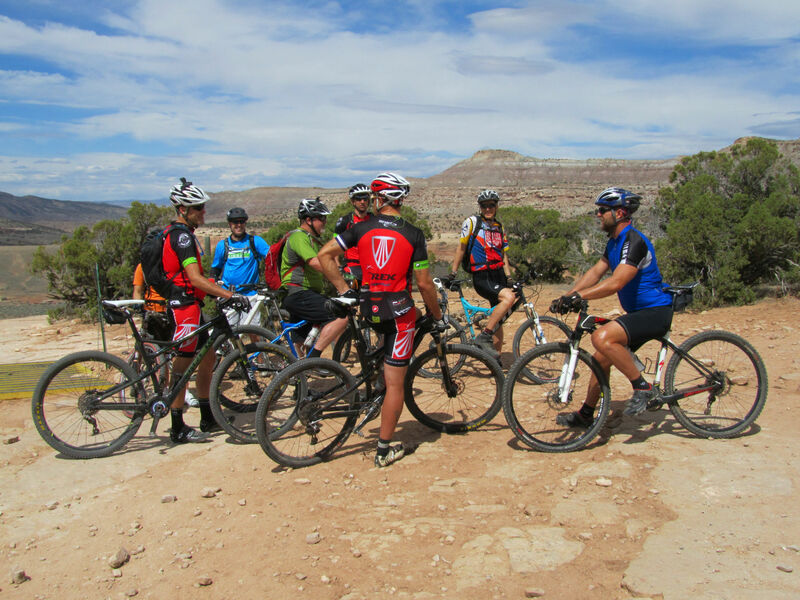 We had six people of varying skills, from beginner to expert take on some of best and most fun trails in Fruita CO. The Trek Colorado Racing Team attended to lead rides and give tips on riding and race throughout the weekend. The first day of camp we headed out to the Kokopelli trails in Loma. The ride included a loop around Horse thief Bench which made for a great location for some skill building and remembering how to ride on techy stuff after a winters worth of riding on the road and trainer. Then we moved on to Marys Loop and Steves Loop. This was the first single track people have seen in a couple of months as most people from Colorado are on the road and trainer during the winter months. At the end of the Western Rim. Day two included a great talk from Kelli at Apex Nutrition. I have been working with Kelli for a few months now and have seen great results in my fueling and lost a couple of pounds on the way. 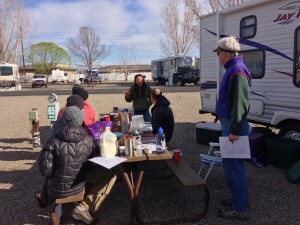 Kelli talked to us about endurance sport nutrion. This was a great session that had everyones attention. Nutrition is such an important aspect to training and racing, if you have it wrong you’ll suffer, loose performance or even DNF. After Kelli’s talk we headed into Rabbit Valley to ride the Western Rim. It was an awesome day with mostly clear skys and warm sun. The ride was great until we hit a unfamiliar trail, but all was good after riding the rim a second time on the way back to the Parking Lot. 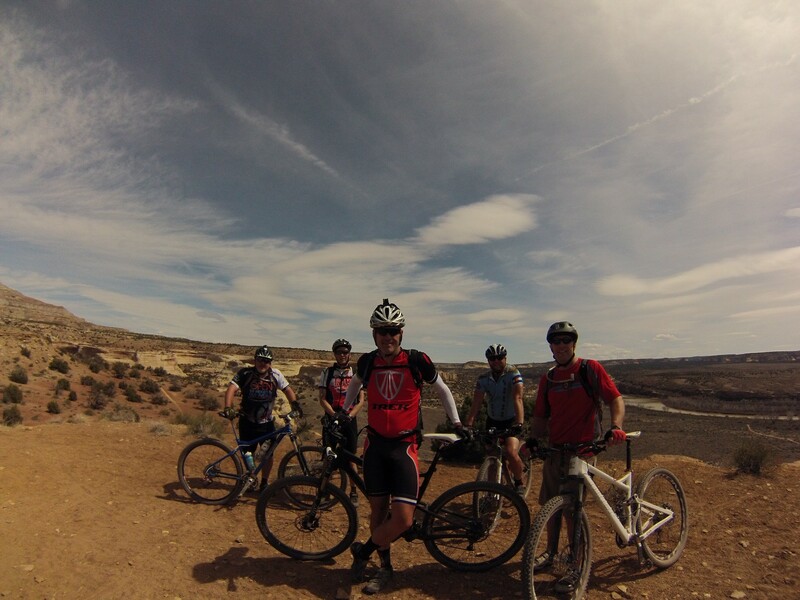 If you haven’t riden the Western Rim, this is one of the gems of the Fruita area. The views of the Colorado River are amazing . Kelli giving us great advice on how to eat for training and racing. The last day included 18 Road for in my opinion the best single track in Fruita. Here we added more skill building with all the great descents Kessel Run, PBR, Joe’s Ridge, Mojos and Zippidy Do Da. Skill practice including learning cornering, pumping and handling step descents. We took some folks on some tails they never thought they would ride and ended with a big smile at the end of the day. Thank you to everyone that attended and came out to support. The energy and excitement made the camp a great success. I’m looking forward to future camps. If you want to stay informed of training camps, sign up for the mailing list in the upper right hand corner. Hope to you at the next one.